Package insert marketing has proven to be effective for a variety of brands, especially since package insert programs have the potential to boost revenue by drawing prospects in and largely benefit businesses. To have a successful insert marketing program, there are some guidelines and tips to be mindful of. What is a PIP? What are its advantages? How can you set up a successful one? Here’s what you need to know! What Is a Package Insert Program (PIP)? A package insert program (PIP) is centered around outgoing goods purchased by consumers. These purchases are usually made online or via catalog, and as they are mailed out, third-party advertising is included with the purchased items. These inserts are often pre-collated in an envelope, which is put inside the package to be mailed. Some PIP programs allow loose inserts. Some of the most popular types of packaging inserts include discount offers. These inserts can be delivered through e-mail, but physical delivery is a great way to get it directly into your customer’s hands—plus, they won’t be able to “delete” it before they read it. You can send discounts or credits for future purchases and leave customers with a tangible reminder. Samples are another great way to add value to your package inserts. Depending on the products you sell, you may be able to order free samples from your vendors. Product samples also allow you to cross-sell to customers, introducing them to other products and lines they may not know about. Small gifts are another great way to delight customers without being too “salesy.” The gift doesn’t have to be expensive, and since it’s unexpected, people will be surprised and happy to get something extra for free. The most affordable, simple, and personalized insert is a note for your customer. Making it handwritten goes even further. This thoughtful gesture can build loyalty by allowing you to make a direct connection with your customer on an emotional level. When first starting out, this is a great strategy, and gives you a competitive advantage over larger companies who may not have the time or manpower to handwrite notes. 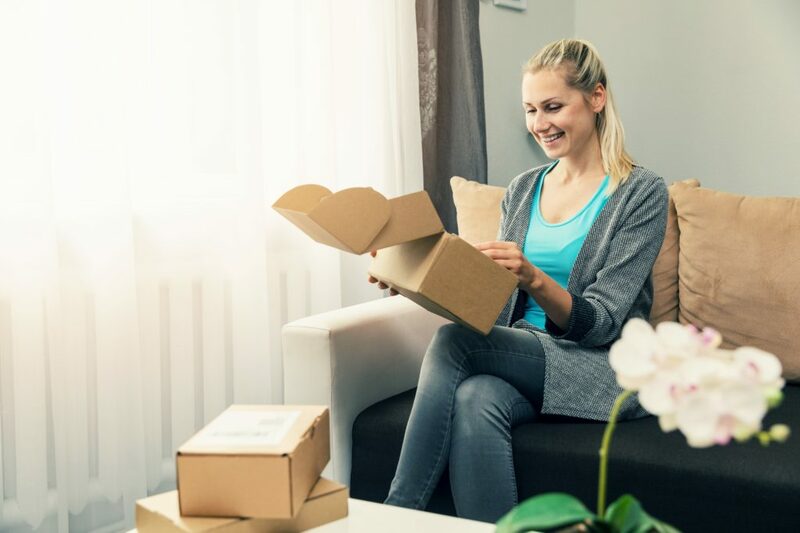 Shipped packages usually represent the end of a transaction, so adding a packaging insert can be an opportunity for you to request a product review or social media post from the customer about the product or their experience with your brand. This works as free positive promotion for your company. Package insert programs allow you to target a specific audience. If you sell camping equipment, you can put your inserts into the packaging for brands that sell clothing for outerwear. If you distribute your insert to a related company, you can narrow in on your audience and find customers who are most likely to buy. One of the assurances you have with using package inserts is that they will always be opened. Even better, they will be opened by people who are eager to receive their package and see what’s inside. That good feeling will translate over onto your sales piece, giving you a good first impression with your prospects. Your package insert will arrive at the customer with the implied endorsement of the brand they just ordered from. This goodwill-by-association boosts the power of your own sales piece. The company sending your insert along with their delivery pays for the shipping, and you may need to pitch in, but the benefit of reaching a highly targeted audience without paying extra for solo marketing means you make big savings. One of the biggest trends in e-commerce today is personalization. Just observe how web sites like Etsy offer personalized goods. Even Amazon tracks your searches to suggest related products that make your online hunt for items easier. Package inserts are a great way to deliver a personalized message or send an offer that targets a specific kind of customer. Here are some helpful tips from the experts on how to create successful inserts that catch your readers’ eyes and encourages them to follow up for more information. Ensure your headline and offer grabs the readers’ attention to compete with the contents of their original order. Keep it simple and use medium or large font for easy readability. Discounts and free offers have a higher response rate. To keep delivery costs low, use light material or paper for your insert. Use your URL, phone number, or a QR code to make it easy for your prospects to respond. Study inserts that you receive when you order products. Consider what works for you, and what doesn’t, and use that to your advantage. The following are some prime examples of companies that have used package insert marketing to their advantage to help boost their brand and attract the attention of their target audience and customers. Discount offers are one of the most popular and direct types of package insert marketing. They can be delivered by e-mail, but when they are sent to customers’ physical mailboxes, you can be sure they are arriving into their hands instead of their spam folder. The tangibility of these physical offers leaves customers with a satisfying feeling and tangible reminder of your message. For example, Shea Brand, an online beauty brand, used package inserts to encourage their customers to keep shopping with them. In the package, customers received a few inserts, including a 20% discount on their next purchase. This cost-effective way to deliver discounts can be printed on cards as small as business cards, so you can not only save your customers money, but also save some money yourself. To really push loyalty and encourage word-of-mouth advertising, you can include two coupons: one for your customer and another for their relative or friend. United Kingdom-based nutritional supplements store, BrainZyme includes free samples of their three main products to customers so that they can try them out before purchasing them. Freebies are a great way to generate interest in your brand and improve customer loyalty. Consumers love getting things for free, and this is a great way to help them get familiar with your products and share their experiences with their friends and family. Samples in your package insert program don’t have to cost you much either—depending on the products you sell, you may be able to get samples for free from your vendors. One of the biggest challenges for businesses is to delight their customers with quality products, without making their customers feel as if they are being sold to. Similar to samples, small gifts can be a way to surprise your customers with something unexpected and pleasant. These gifts add value to their experience of getting mail and will make them smile. Plus, they make your customers more inclined to visit your online or physical store. This powerful tool leaves customers wanting to return the favor and boosts loyalty when customers enjoy their gift. What kind of gifts can you send? You can include a handwritten “thank-you” note to make it extra special. Personalizing your package inserts goes a long way to making a direct connection to your customer. Grilla Grills, a brand that sells smokers and grills, and Galen Leather, a seller of handcrafted leather goods, often include free gifts in their packages along with handwritten notes. It works for their customers, and can work for you too! As mentioned before, a personalized note helps you connect with your customers in a more direct way. When they open their mail box and see their name in your handwriting, it makes them feel more connected to your brand. A handwritten “thank-you” card is a thoughtful gesture that can help boost loyalty and is especially effective when you are first starting your business. It gives smaller businesses a competitive advantage that most large-scale companies cannot offer. A great example of this is with premium menswear service, TrunkClub. Their personal stylists write handwritten notes, explaining their selection of products. These customized notes are included with each order. Once your customer receives their sample or gift in the mail, they may be wondering what to do next. How can they get more products? How can they share their experience with their friends? How do they thank you for the freebie? When you send your package insert, take some pointers from Frank Body. The coffee-based body scrub company encourages social media interaction at every touch point they make with their customers. Their inserts include a request for customers to share their experience with their social networks via Instagram, Facebook, Twitter, and Pinterest. Customers have put the scrub on their faces, snapped selfies, and shared them on social media with tags and mentions of the brand. This free advertising has led to an explosion of support and interest in the brand. Slyde Handboards, a bodysurfing and water sports company based in the U.S., also includes links to share and hashtag for customers to use so that they can share their experiences with the brand online. Package inserts are a great way to boost loyalty with your brand and attract new customers. Even if you are a small retailer, you have the advantage of getting your message straight into the hands of your most responsive prospects. Setting up a PIP doesn’t have to be complicated either. Like other print media products, you can grow your customer base and increase sales with just a little direction and creativity. Unsure of where to begin? Consider working with our newspaper advertising agency. With help from Macromark, you can improve your marketing strategy by creating a PIP that engage your prospects and appeals to their curiosity and interests. Also, you can get help to stand out from your competitors and engage readers, both of which are essential to growing your customer base and getting consumers to visit your store or web site. If you want to experience the advantages of a successful print media strategy, seek direction from our experts. We can help you set up a successful PIP, and we can provide all the information, and assistance you need to get it up and running. Our services also include print media, direct mail marketing, list brokerage, data solutions, list fulfillment, and list management. For more information about how we can help grow your business, contact us at 1-(845)-230-6300.